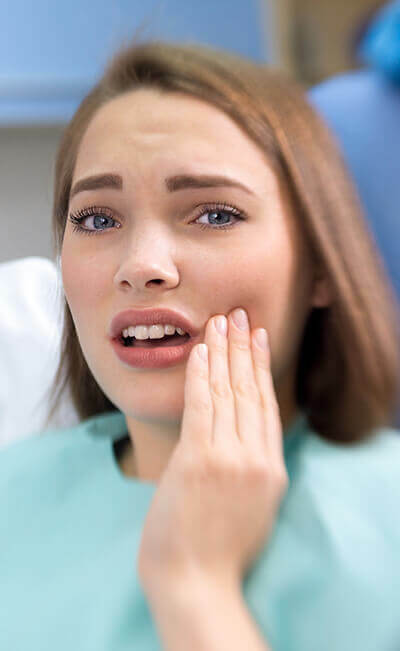 Wisdom teeth or third Molars are the last teeth to form in the mouth, often erupting in the mouth from age 16 to early 20s but can appear earlier, later or not at all. Wisdom teeth are an evolutionary remnant from a time when our early human ancestors often used to eat coarse, hard foods that resulted in high levels of tooth wear. Therefore having extra 4 teeth come through in later life would have been an advantage to survival to eat food. However with modern dentistry, a diet of soft foods and the use of cutlery, reduced tooth wear has left wisdom teeth redundant. Why does the number of wisdom teeth vary from person to person? Wisdom teeth vary for a variety of reasons; in some cases the teeth do not develop and will not be visible on X-ray radiographs. In other cases, the wisdom tooth may be present, but they may erupt sideways, only partially emerge (partially impacted) or be trapped inside the gums (fully impacted). EZ Teether is aimed to help with pain as the wisdom tooth comes in through the gums. For cases of full impaction where the teeth do not emerge please contact a dental professional. Why do wisdom teeth occur later in life? Teeth often erupt in a set pattern determined by various signaling factors in the embryo. This pattern varies between baby teeth and adult teeth. In the sequence, the first tooth to erupt is the first molar around age 6 followed by your front teeth. At the end of this sequence the wisdom teeth begin their formation in the jaw, this occurs at around age ten. Through a gradual process, the wisdom tooth will proceed from a tooth germ to a fully-grown adult tooth crown (the white part). Once the crown is full developed, it will erupt and the roots will then continue to grow until their full length is reached. How do wisdom teeth erupt? Wisdom tooth eruption often depends on a combination of size of the jaw and the size of the wisdom tooth, with enough space; the wisdom tooth will be able to grow straight out of the jaw. If there is not enough space the wisdom tooth will be impacted. In this scenario we would strongly advise arranging a consultation with your dentist. As the tooth breaks through the gum it can be very painful. The EZ Teether is designed to provide a resistant surface for you to bite down upon and massage the painful area of the gum. What causes wisdom teeth to be painful? Wisdom tooth pain can be due to impaction, infection or as they break through the gums. As the wisdom tooth comes through and cuts through the gum, pain occurs, as the gum tissue is broken. Additionally a flap of gum tissue can be created next to the white crown of the tooth, which can lead to infection, great pain and swelling. Why do wisdom teeth cause infection? If the Wisdom Tooth cuts the gum and the area is not kept clean, food and debris as well as associated bacteria can accumulate in the gum flap leading to infection. Wisdom teeth can become infected even when partially or completely impacted as well as during the process of eruption. Presentation of any symptoms of infection such as a foul taste, discharge of pus or swollen gum tissue will need a visit to your dentist to clean the area and most likely prescribe oral antibiotics. How can I avoid my wisdom teeth causing infection? Maintaining good oral hygiene in the area wisdom teeth are erupting is vitally important, this is to stop a build up of food and debris. In addition to brushing, massaging the affected area by biting on the EZ Teether will stimulate saliva flow, which can help to wash away food particles and the associated bacteria. Additionally, saliva contains antibodies, which help to fight infection.